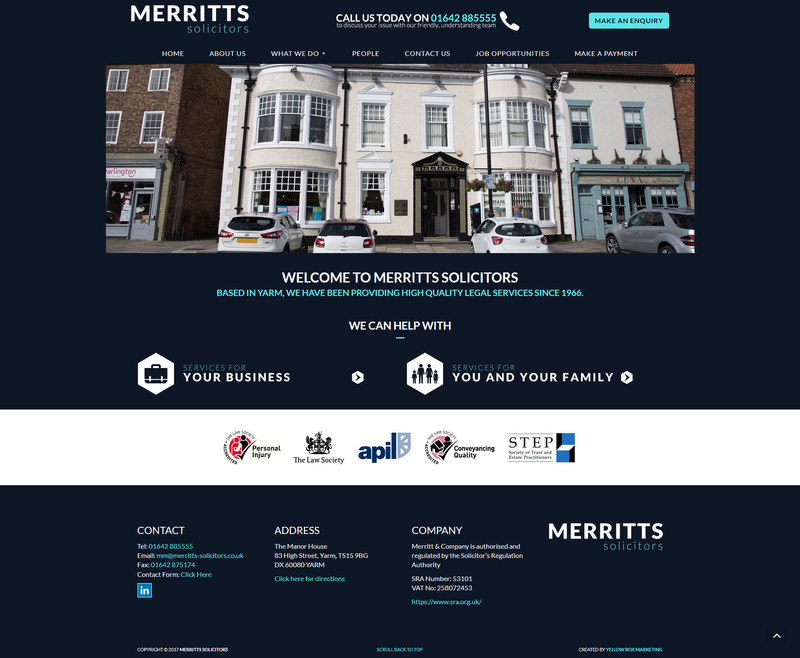 Merritts are a Yarm-based provider of high quality legal services since 1966. They cover a wide range of legal fields including accident & compensation claims, buying & selling of property, disputes, employment law, family issues, wills, trusts & probate, asbestos and medical negligence claims, commercial property, debt recovery, partnerships and landlord & tenant issues. Merritts required an update to their existing website to provide it with a responsive design that would work across all browsers, to provide significant content updates including updated and detailed staff profiles, and to add the ability for customers to pay invoices to Merritts via an online payment facility, which was integrated to the website through WorldPay.